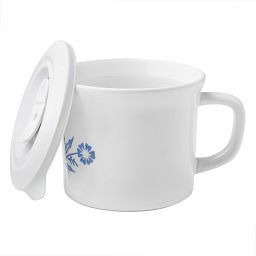 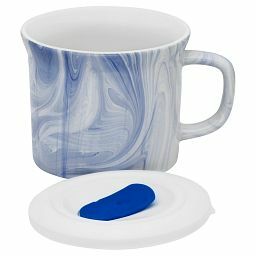 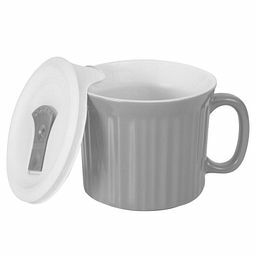 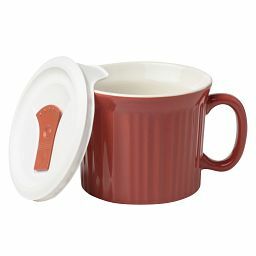 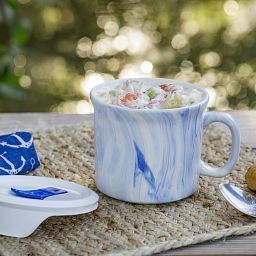 Store, serve and savor meals in this take-along stoneware mug with a vented lid and a finish of dark blue. 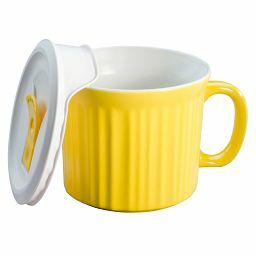 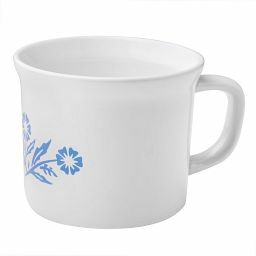 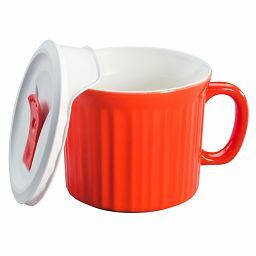 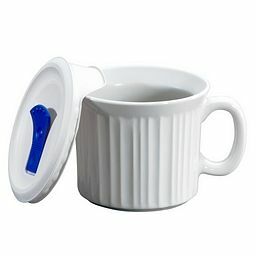 Get a handle on quick, convenient dining with this CorningWare® Pop-Ins® Mug in dark blue. 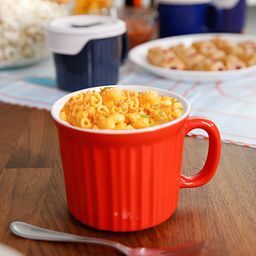 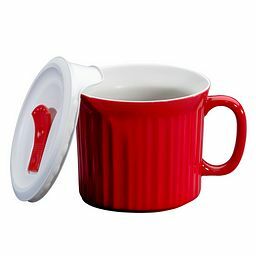 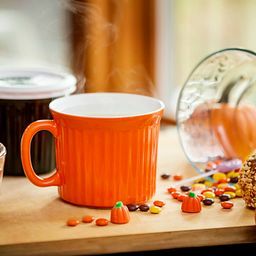 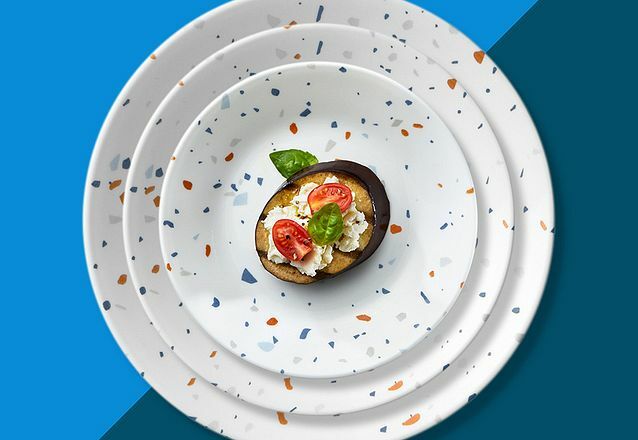 Fill the stoneware mug with soup, pasta, vegetable curry or even breakfast cereal, and snap on the lid: Just like that, you’ve got a pre-portioned, microwavable snack or hearty meal to go.